I was deeply honored and humbled to be elected as the new president of the Rochester Chamber Orchestra. I am also very pleased that outgoing president and friend, Tom Paul, will be remaining on the board and continuing his longtime role as artistic administrator/advisor for the orchestra. For me, my new role is a return to my musical roots. It was my original career ambition to become a symphony orchestra conductor. Having studied trumpet, violin, piano and voice, conducting seemed to be a logical next step. However, during my sophomore year at the Eastman School of Music, I decided that music was not going to be my career path. 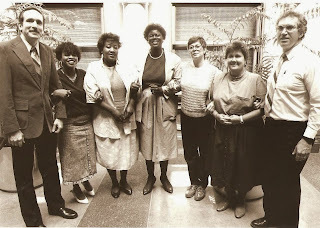 Since those days, I ventured into other areas, inclusive broadcasting, banking and 23 years in Rochester's City Hall. I have also earned varied degrees, such as a Bachelor of Arts from Empire State College and a Master of Arts in Theology and Master of Divinity from St. Bernard's School of Theology and Ministry, culminating in my being ordained a married priest in 2006. The past few months have been a period of musical renewal for me. I have renewed friendships within the Rochester Philharmonic Orchestra's framework, inclusive of musicians and administrators. In addition, my being a board member of the Rochester Chamber Orchestra has allowed me to participate in a field I truly love. If you would like to keep posted on concerts being performed by the RCO, please visit the orchestra's website regularly at www.rcho.org. The orchestra also has a Facebook page. I have spent considerable time this week reflecting back on the events of President Kennedy's presidency and tragic assassination. This has been inclusive of watching documentaries and looking at documents that were classified until recently. 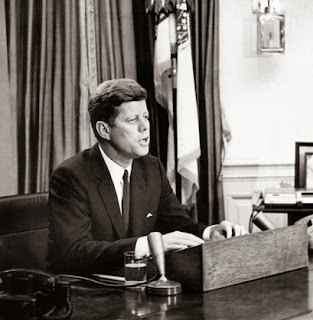 While historians continue to debate whether or not JFK was a great president, the fact remains that he kept us out of a nuclear war via careful diplomacy and a televised speech that proved to be the catalyst for what can perhaps be described as the former Soviet Union backing down under pressure. By today's standards, it is hard to imagine nuclear missiles pointed at the U.S. only 90 miles from Florida's shore. However, this was the case, and the U.S. and the Soviet Union were ready to push the buttons if necessary. On October 22, 1962, President Kennedy proved himself to be a communicator extraordinaire, by delivering a televised speech like none other since. I am providing a photo taken during that memorable speech. I want to congratulate Jim Vollertsen, president of RAPA (Rochester Association of Performing Arts), for his hard work that has led to the lease of what used to be the Theater on the Ridge. (It is being renamed the Kodak Center for the Performing Arts.) This morning's Democrat and Chronicle ran a nice feature that highlights upcoming plans/events for the theater. It was a pleasure for me to take part in testing the acoustics in the theater. As I roamed the theater and listened to musical instruments playing from several sections of the stage, I was very impressed with the sound. This will be a perfect location to stage broadway type shows and concerts, in addition to hosting other entertainment venues. This theater has many memories for me. I will never forget the annual variety shows that were put on for Kodak workers, their families and the general public during the fifties and sixties, with a large orchestra in the pit conducted by Len Hawley. Eastman Kodak renovated the seats in the theater a few years ago, anticipating continued use. RAPA will indeed be putting the theater to good use. Having served under several mayors (Ryan, Johnson, Duffy, Richards) before I retired, I am proud of the fact that each mayor worked hard toward achieving diversity in Rochester's City Hall. I am confident that Mayor-elect Lovely Warren will follow in the footsteps of her predecessors in this regard. It is reasonable to assume that Mayor Tom Richards will be asking for resignations from his top appointees, who in turn will have an opportunity to reapply for their jobs via Lovely Warren's transition team. My hope is that Ms. Warren will recognize the excellent pool of talent that worked for Tom Richards, whereby there will be an opportunity to keep at least some of these persons who are dedicated to the best interests of the city, inclusive of the level of diversity that has worked well in City Hall. I want to congratulate Salvatore Matano upon his appointment as Rochester's 9th bishop. This appointment by Pope Francis became official this morning at a press conference held by the Diocese of Rochester. It was my great privilege to experience the friendship of Bishop Matthew Clark over the course of many years. Bishop Matano has big shoes to fill. However, I wish him well and I want to welcome him to Rochester. Bishop Clark made great strides in terms of setting inclusive policies for the Diocese of Rochester, in spite of Vatican restrictions. However, it is very encouraging that our current pontiff has given us hope for a church that embraces diversity, as opposed to the top-down model we are used to seeing. 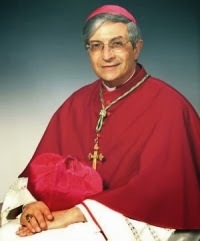 Salvatore Matano was born in 1946, which means he won't be a long-term bishop of Rochester. (Bishops are required to submit resignation papers to the Vatican at age 75.) However, even as a transitional bishop, he can have an impact on the future of our diocese. As a married priest, independent of Rome, I continue to hope for the day when women priests and married priests can stand at the altar alongside celibate priests. There is little Bishop Matano can do about that dream, but I hope he will at least follow the example of inclusivity set by his predecessor, Bishop Matthew Clark. It is not my intention to get involved in any of the politics surrounding the appointment of Rochester's new bishop. I simply wish Bishop Matano good luck, and may the Holy Spirit guide him toward a path of humbleness and pastoral leadership in ways that serve the Diocese of Rochester well. I want to extend sincere congratulations to Lovely Warren upon her election as Rochester's new mayor. Although I worked on the last-minute campaign for Tom Richards, I nevertheless rejoice in the historic moment we are celebrating, which is the election of Rochester's very first female mayor, and Rochester's second African American mayor. As president of Rochester's City Council, Lovely Warren got to know the City's department heads. So, I hope she will at least consider retaining those who have consistently done a stellar job. For example, I worked for the City's current finance director, Brian Roulin. He has followed in the footsteps of his predecessor, Vince Carfagna, by establishing high levels of financial reporting, resulting in multiple national recognitions. There are many department heads I could recommend as persons Lovely Warren should retain. 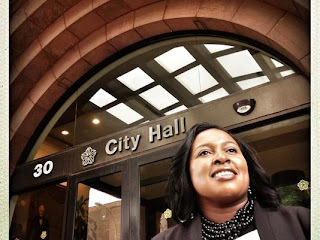 However, she needs to create an environment that she feels best serves the current interests of the city, and this will hopefully include keeping persons who want nothing more than to do their jobs to the best of their abilities. I like to feel that Susan B. Anthony is smiling today. My thanks to Tom Richards for being a superb mayor under challenging circumstances, and my best wishes to Lovely Warren on her historic election.